RISPA is pleased to announce the fourteenth year of this scholarship award, with a new title! The Rhode Island School Psychologists Association Ethnic Minority Scholarship Award was established in 2005 to provide financial assistance to resident minority scholars pursuing graduate study in Rhode Island graduate programs as well as out of state programs. Out of state students attending school in RI may also apply. This scholarship further supports the more profound goal of promoting ethnic diversity within the profession so as to best serve a diverse community of students across developmental levels and educational programs. 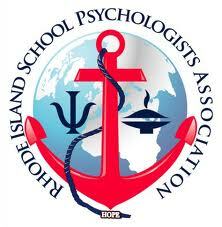 The Rhode Island School Psychologists Association is pleased to annually share an award amount agreed upon by the RISPA Board with at least one or two qualified graduate students of school psychology as selected by the Ethnic Minority Scholarship Committee. Black: All persons having origins in Sub-Saharan African countries (i.e. Liberia, Senegal, etc. ), African Diasporic countries (e.g. Jamaica, Haiti, etc.) -and that are not of Hispanic origin. 1. Save this document, https://docs.google.com/document/d/1m2A_rGjoNzAEfktVGq_0pKMlvGgA1NXtGQI6O2lUd54/edit?usp=sharing, to their computer, and complete applicable sections through typing, copy/pasting, etc. directly into the document. Once complete, save the application with applicant name in the title and email. 2. Or application can be printed out, completed by hand, scanned and emailed. Follow the instructions on the application form and submit all documents. The application cutoff date is 4/22/19.